Welcome to one of our trusted dealers, an MCN Quartermaster, AA Antiques. 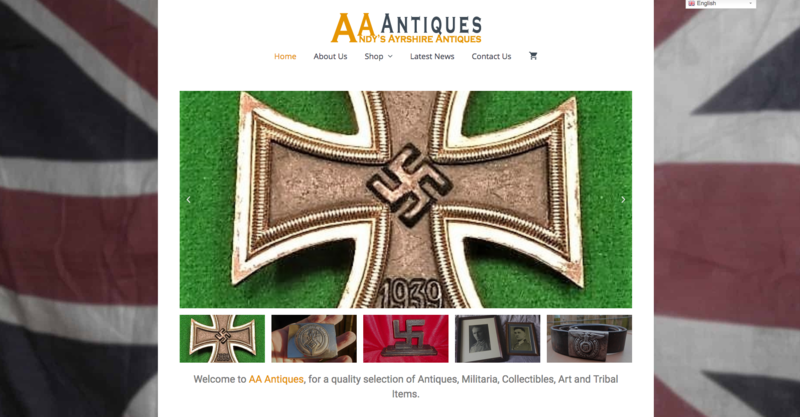 AA Antiques, Andy’s Ayrshire Antiques And Collectibles online shop is a small but dedicated business, based in Ayrshire, Scotland. They have a keen interest in the antiques of the past and future and have collected for many years. It’s a pleasure to find you quality and affordable antiques and offer them here. Have a browse through our stock, hopefully there will be something that interest you, if not feel free to get in touch and we’ll see what we can find.